Due to numerous translations, Søren Kierkegaard and Hans Christian Andersen have long been familiar names in the anglophone world. However, as is well known inside Denmark, Kierkegaard and Andersen were not isolated figures in the Danish intellectual and artistic scene of the day; rather, they were merely the best-known representatives of an extremely rich period in Danish cultural life that began at the start of the nineteenth century and continued for some fifty or sixty years. This period, which has been designated "the Golden Age of Denmark," is only now coming to be appreciated for its full significance. 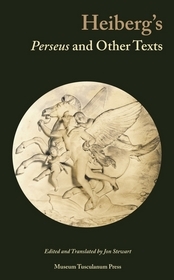 In order to meet the need for the new international interest in this period, Museum Tusculanum Press is publishing a translation series entitled,Texts from Golden Age Denmark (ISSN: 1903-3336). The main goal of his interdisciplinary series is to make available for the first time in English some of the most important texts from the leading writers and intellectual figures of this period. 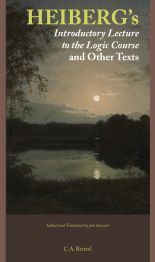 The texts featured come from many different authors, representing many different fields, e.g., literature, philosophy, theology, drama and art history. They serve to paint a more complete picture of the cultural milieu of the period and to make its rich intellectual life available to the world of international scholarship. This series is intended in part to provide a new wealth of textual sources for studies featured in the parallel monograph series, Danish Golden Age Studies. In addition to the translations themselves, the volumes in this series include both a general introduction that serves the function of introducing the specific figures and texts, and locating them within the period. Each volume also includes extensive explanatory notes or commentaries, which supply additional background information about specific aspects of the featured texts. One of the goals of the series is to present the texts as a contemporary reader might have read them. Therefore, all of the translations have been made using the original printings and first editions of the various articles and monographs. The General Editor of Texts from Golden Age Denmark is Jon Stewart. research into the Danish Golden Age and its historical and cultural moment." Scandinavian Studies, vol. 80, no. 2, 2008, pp. 254-256.
cleared into the treasure chest of wonderful philosophical texts from the Danish Golden Age." Søren Kierkegaard Newsletter, no. 51, 2007, pp. 43-45. This volume presents one of the philosophical classics of the Danish Golden Age: Johan Ludvig Heiberg's On the Significance of Philosophy for the Present Age, a text which appeared at C.A. Reitzel's Publishing House in 1833. In this work Heiberg gives his impassioned diagnosis of what he perceived as the great crisis of relativism and nihilism of his day. His proposed solution is that thinkers, artists and scholars should take refuge in Hegel's philosophy, which restores truth and beauty to their proper place. With his provocative claims about the status of religion in the present age, Heiberg evoked the ire of a number of Copenhagen's leading theologians, including Jakob Peter Mynster, who a year later was to become Bishop of Zealand. This volume includes several reviews of Heiberg's work and his responses to them. This volume also contains a translation of Heiberg's "Autobiographical Fragments," in which he recounts his trip to Berlin where he met Hegel in person and attended his lectures. 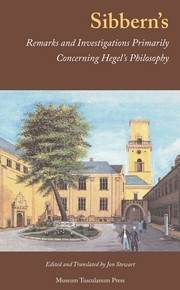 It is here that Heiberg gives the dramatic account of his philosophical revelation and conversion to Hegel's philosophy. This volume offers an excellent introduction to Heiberg's thought and to the philosophy of the Golden Age. This volume features Johan Ludvig Heiberg's most extensive work on logic, namely, his Outline of the Philosophy of Philosophy or Speculative Logic from 1832. This work was originally used as a textbook for Heiberg's students at the Royal Military College. It follows closely Hegel's main statement on the subject, the Science of Logic. 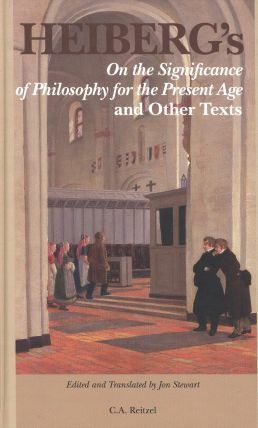 Heiberg's work foreshadows a number of later Danish discussions about issues related to Hegel's logic, for example, the question of a presuppositionless beginning, the issue of mediation, the validity of the law of excluded middle, and finally the relation of philosophy to religion. 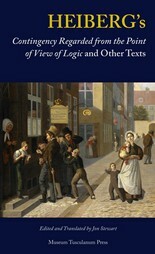 Heiberg's Speculative Logic was the first of a series of Danish works and commentaries on Hegel's Science of Logic that appeared throughout the late 1830s and 1840s. This volume features one of Johan Ludvig Heiberg's best philosophical works, the Introductory Lecture to the Logic Course, which was originally given as a lecture in 1834 and then published in 1835. This work is one of the clearest statement of Heiberg's Hegelian idealism. Here he makes a case for the primacy of philosophy over, for example, religion or the natural sciences by appealing to a theory of categories. Following Hegel's model, Heiberg places philosophical knowing higher than religious knowing. Despite the title of the work, Heiberg is not concerned solely with logic or metaphysics. He also treats, for example, philosophy of language and aesthetics, setting up a cursory taxonomy of forms of poetry. The text further contains his famous appeal to "the demand of the age," which was so often the object of Kierkegaard's satire in works such as Prefaces and Stages on Life's Way. This volume also contains the famous review of this work by the theologian Hans Lassen Martensen. The then young Martensen had just returned from an extended journey abroad during which he met a number of the leading Hegelians of the day. His review led to further discussions by the philosophers Frederik Christian Sibbern and Rasmus Nielsen as well as Søren Kierkegaard. These critical debates, which are also included here, focus primarily on the relation of philosophy to religion. Inspired by G.W.F. Hegel’s system, Johan Ludvig Heiberg authored a series of essays and monographs on different philosophical issues in both Danish and German; these works began after his famous encounter with Hegel in Berlin in 1824 and continued for the next two decades. 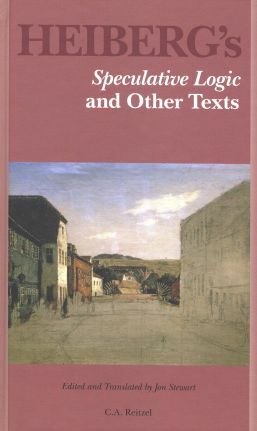 The present volume features Heiberg’s early work, Contingency Regarded from the Point of View of Logic (1825), which represents a pseudoHegelian account of the categories of contingency and necessity. Two years later Heiberg published a sequel to this treatise, entitled, “Nemesis. A Popular-Philosophical Investigation.” This work attempts to demonstrate that even though we today no longer believe in Nemesis as a goddess who has control over our lives, nevertheless we very often make use of the concept of nemesis without knowing it. The present volume also includes several other philosophical and literary articles primarily from Heiberg’s journal Kjøbenhavns flyvende Post. These articles, which date from between 1825 and 1843, serve as a useful introduction to the different aspects of Heiberg’s philosophical thinking and supplement his more extensive monographs in this field. G.W.F. Hegel’s so-called speculative logic was revolutionary since it attacked the basic laws of Aristotelian logic—the laws of contradiction and excluded middle—which stood as the foundation for the field for well over a millennium. He replaced these laws with the principle of mediation, which he used to redefine all the key terms of the discipline. In the 1830s this highly controversial theory was attacked by a number of philosophers in Germany and Prussia. These debates spilled over into Denmark in the late 1830s and early 1840s and represent one of the signal episodes in the Danish Hegel reception. The present volume includes the main texts in this controversy. The debate proper was initiated by the article “Rationalism, Supernaturalism” by the theologian Jakob Peter Mynster, who attacked Hegel’s criticism of the law of excluded middle. The poet, Johan Ludvig Heiberg and the then young theologian, Hans Lassen Martensen then came to Hegel’s defense with articles which responded to Mynster’s charges. Other interlocutors in the discussion were the philosopher, Frederik Christian Sibbern, and the religious writer, Søren Kierkegaard. 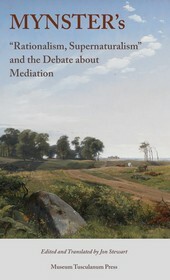 There can be no doubt that Kierkegaard’s frequent critical discussions of mediation throughout his authorship were significantly influenced by these debates. The poet and part-time philosopher Johan Ludvig Heiberg published the first issue of his review Perseus, Journal for the Speculative Idea in June of 1837 as a part of his long-standing campaign to convert his Golden Age contemporaries to G.W.F. Hegel’s philosophical system. The journal was created in large part as a result of a dispute that Heiberg had with the editorial board of the prestigious Maanedsskrift for Litteratur about an article that he had submitted. Feeling unfairly persecuted, Heiberg retracted his submission and resolved to found a new philosophical journal of his own, in which his controversial piece could be published. Thus Perseus was born. In his prefatory address to the journal’s readers, Heiberg calls upon the Greek hero Perseus to be the champion for the cause of Hegelian idealism and to do battle with the pernicious Medusa of realism and empiricism. Although Heiberg’s Hegelian review only appeared in two issues in 1837 and 1838, it was widely read and discussed among Danish students and intellectuals of the time. It was reviewed at length by the philosopher Frederik Christian Sibbern and satirized by Søren Kierkegaard in Prefaces. There can be no doubt that Heiberg’s Perseus represents a landmark in Golden Age culture. One of Denmark’s greatest philosophers during its greatest philosophical period, Frederik Christian Sibbern (1785-1872) was a major figure on the landscape of the Danish Golden Age. Profoundly influenced by German philosophy, he was personally acquainted with figures such as Fichte, Schleiermacher, Goethe and Schelling. Sibbern had long been interested in the philosophy of G.W.F. Hegel but had never written any extended analysis of it. When Johan Ludvig Heiberg unveiled his new philosophical journal Perseus in 1837, as a part of his Hegelian campaign, he provided Sibbern with the occasion that he had been waiting for. In a series of eight installments in the journal, Maanedsskrift for Litteratur, Sibbern published an extensive critical account of Hegel’s philosophy under the guise of a review of the first volume of Heiberg’s Perseus. In the fall of 1838 he collected the first four installments of this review and published them as an independent monograph entitled, Remarks and Investigations Primarily Concerning Hegel’s Philosophy. This work represents arguably the most exhaustive, detailed and profound analysis of Hegel’s philosophy ever to appear in the Danish language, anticipating many aspects of Kierkegaard’s famous criticism. With the present volume Sibbern appears in English for the first time. Now international readers can catch a glimpse of this towering philosophical genius and gain a deeper appreciation for the significance of his contributions to Golden Age Denmark. Design and layout: Katalin Nun Stewart. Illustrations: Museum Tusculanum Press, Wikimedia Commons, and Katalin Nun Stewart.